This is a two part story that was originally published in The Blue Press. Part two will be posted at a later date. I'll let the story speak for itself. The old man walked slowly through the dry, fallen leaves of autumn, his practiced eye automatically choosing the bare and stony places in the trail for his feet. There was scarcely a sound as he passed, though his left knee was stiff with scar tissue. He grunted occasionally as the tight sinews pulled. Damn chainsaw, he thought. Behind him, the boy shuffled along, trying to imitate his grandfather, but unable to mimic the silent motion that the old man had learned during countless winter days upon this wooded mountain in pursuit of game. He’s fifteen years old, the old man thought. Plenty old enough to be learning…But that was another time, another America. His mind drifted, and he saw himself, a fifteen-year-old boy following in the footsteps of his own grandfather, clutching a twelve gauge in his trembling hands as they tracked a wounded whitetail. The leg was hurting worse now, and he slowed his pace a bit. Plenty of time. It should have been my own son here with me now, the old man thought sadly. But Jason had no interest, no understanding. He cared for nothing but pounding on the keys of that damned computer terminal. He knew nothing about the woods, or where food came from…or freedom. And that’s my fault, isn’t it? The old man stopped and held up his hand, motioning for the boy to look. In the small clearing ahead, the deer stood motionless, watching them. It was a scraggly buck, underfed and sickly, but the boy’s eyes lit up with excitement. It had been many years since they had seen even a single whitetail here on the mountain. After the hunting had stopped, the population had exploded. The deer had eaten the mountain almost bare until erosion had become a serious problem in some places. That following winter, three starving does had wandered into the old man’s yard, trying to eat the bark off of his pecan trees, and he had wished the “animal rights” fanatics could have been there then. It was against the law, but old man knew a higher law, and he took an axe into the yard and killed the starving beasts. They did not have the strength to run. The buck finally turned and loped away, and they continued down the trail to the river. When they came to the “Big Oak,” the old man turned and pushed through the heavy brush beside the trail and the boy followed, wordlessly. The old man knew that Thomas was curious about their leaving the trail, but the boy had learned to move silently (well, almost) and that meant no talking. When they came to “Coffin Rock,” the old man sat down upon it and motioned for the boy to join him. “You see this rock, shaped like a casket?” the old man asked. “Yes sir.” The old man smiled. The boy was respectful and polite. He loved the outdoors, too. Everything a man could ask in a grandson…or a son. “I want you to remember this place, and what I’m about to tell you. A lot of it isn’t going to make any sense to you, but it’s important and one day you’ll understand it well enough. The old man paused. Now that he was here, he didn’t really know where to start. “Before you were born,” he began at last, “this country was different. 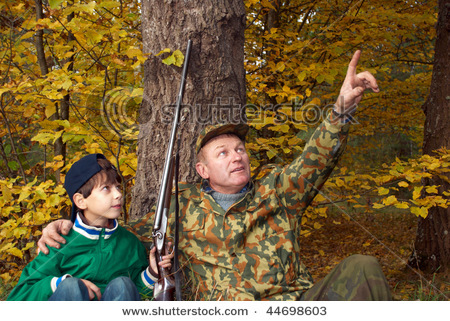 I’ve told you about hunting, about how everybody who obeyed the law could own guns. A man could speak out, anywhere, without worrying about whether he’d get back home or not. School was different, too. A man could send his kids to a church school, or a private school, or even teach them at home. But even in the public schools, they didn’t spend all their time trying to brainwash you like they do at yours now.” The old man paused, and was silent for many minutes. The boy was still, watching a chipmunk scavenging beside a fallen tree below them. 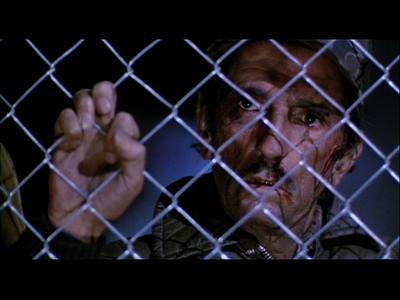 “Things don’t ever happen all at once, boy. They just sort of sneak up on you. Sure, we knew guns were important; we just didn’t think it would ever happen in America. But we had to do something about crime, they said. It was a crisis. Everything was a crisis! It was a drug crisis, or a terrorism crisis, or street crime, or gang crime. Even a ‘health care’ crisis was an excuse to take away a little more of our rights.” The old man turned to look at his grandson. “They ever let you read a thing called the Constitution down there at your school?” The boy solemnly shook his head. “Well, the Fourth Amendment’s still in there. It says there won’t be any unreasonable searches and seizures. It says you’re safe in your own home.” The old man shrugged. “That had to go. It was a crisis! They could kick your door open any time, day or night, and come in with guns blazing if they thought you had drugs…or later, guns. Oh, at first it was just registration – to keep the guns out of the hands of criminals! But that didn’t work, of course, and then later when they wanted to take ‘em they knew where to look. They banned “assault rifles”, and then “sniper rifles”, and “Saturday-night-specials.” Everything you saw on the TV or in the movies was against us. God knows the news people were! And the schools were teaching our kids that nobody needed guns anymore. We tried to take a stand, but we felt like the whole face of our country had changed and we were left outside. “One fellow I knew disagreed. He said we ought to use our guns now and stand up to the government. ‘Said that the colonists had fought for their freedom when the British tried to disarm them at Lexington and Concord. Well, he and a lot of others died in what your history books call the ‘Tax Revolt of 1998,’ but son, it wasn’t the revolt that caused the repeal of the Second Amendment like your history book says. The Second Amendment was already gone long before they ever repealed it. The rest of us thought we were doing the right thing by waiting. I hope to God we were right. “You see, Thomas. It isn’t government that makes a man free. In the end, governments always do just the opposite. They gobble up freedom like hungry pigs. You have to have laws to keep the worst in men under control, but at the same time the people have to have guns, too, in order to keep the government itself under control. In our country, the people were supposed to be the final authority of the law, but that was a long time ago. Once the guns were gone, there was no reason for those who run the government to give a damn about laws and constitutional rights and such. They just did what they pleased and anyone who spoke out…well, I’m getting ahead of myself. “It took a long time to collect up all the millions of firearms that were in private hands. The government created a whole new agency to see to it. There were rewards for turning your friends in, too. Drug dealers and murderers were set free after two or three years in prison, but possession of a gun would get you mandatory life behind bars with no parole. “I don’t know how they found out about me, probably knew I’d been a hunter all those years, or maybe somebody turned me in. They picked me up on suspicion and took me down to the federal building. “Son, those guys did everything they could think of to me. Kept me locked up in this little room for hours, no food, no water. They kept coming in, asking me where the guns were. ‘What guns?’ I said. Whenever I’d doze off, they’d come crashing in, yelling and hollering. I got to where I didn’t know which end was up. I’d say I wanted my lawyer and they’d laugh. ‘Lawyers are for criminals’, they said. ‘You’ll get a lawyer after we get the guns.’ What’s so funny is, I know they thought they were doing the right thing. They were fighting crime! “When I got home I found Ruth sitting in the middle of the living room floor, crying her eyes out. The house was a shambles. While I was down there, they’d come out and took our house apart. Didn’t need a search warrant, they said. National emergency! Gun crisis! Your grandma tried to call our preacher and they ripped the phone off the wall. Told her that they’d go easy on me if she just told them where I kept my guns.” The old man laughed. “She told them to go to hell.” He stared into the distance for a moment as his laughter faded. “They wouldn’t tell her about me, where I was or anything, that whole time. She said that she’d thought I was dead. She never got over that day, and she died the next December. “They’ve been watching me ever since, off and on. I guess there’s not much for them to do anymore, now that all the guns are gone. Plenty of time to watch one foolish old man.” He paused. Beside him, the boy stared at the stone beneath his feet. “Anyway, I figure that, one day, America will come to her senses. Our men will need those guns and they’ll be ready. We cleaned them and sealed them up good; they’ll last for years. Maybe it won’t be in your lifetime, Thomas. Maybe one day you’ll be sitting here with your son or grandson. Tell him about me, boy. Tell him about the way I said America used to be.” The old man stood, his bad leg shaking unsteadily beneath him. The old man stood, watching as the sun eased toward the ridge, coloring the sky and the world red. Below them, the river still splashed among the stones, as it had for a million years. It’s still going, the old man thought. There’ll be someone left to carry on for me when I’m gone. It was harder to walk back. He felt old and purposeless now, and it would be easier, he knew, to give in to that aching heaviness in his left lung that had begun to trouble him more and more. Damn cigarettes, he thought. His leg hurt, and the boy silently came up beside him and supported him as they started down the last mile toward the house. How quiet he walks, the old man thought. He’s learned well. It was almost dark when the boy walked in. His father looked up from his paper. Editor’s note: “Sundown at Coffin Rock” is a work of fiction. Any similarity to actual events or to actual people, living or dead, REMAINS TO BE SEEN. Sundown at Coffin Rock originally appeared in the May 1994 issue of The Blue Press – a catalog/magazine published by Dillon Precision Products, Inc., 8009 E. Dillon’s Way, Scottsdale, AZ 85260. For a free catalog, call (800) 762-3845. The scary part of this story is that we're a half-millimeter from that now...not quite there,but close. I sincerely hope this story turns out with a good ending. I was so depressed after reading the first part. I have a friend that truly believes when the SHTF people should shoot family members that might be a liability. The old man in the story might have been better off doing just that. What a nation we have become; so sad. Our country is definitely headed toward a Communist Dictatorship under this administration. We pray this administration ends quickly and the people of this nation wake up, take back America, and restore our Constitutional rights. Big Government must end. We MUST turn back to Godly principles and quickly. Alot of what has happened has been due to the apathy of Christians and Constitutionalists. As Christians we should have shouted loudly and stopped the progression of far-left liberalism years ago. I am so glad Maid Elizabeth returned home safely. Blessings to you and your family. The last I heard there are 88 million gun owners in the U.S. I also heard that there are 300 million guns in the U.S. I also believe that draconian anti-gun laws will lead to mass civil unrest and can touch off a powder keg of monumental proportions. I hope we can avert disaster by voting the right people in and the bad people out. Something tells me that with all the awareness going on for gun rights and all the new firearms owners with concealed handgun licenses that vote can change the social political climate of this country. The market for guns and accessories has exploded since 2004 and now is a market that is worth hundreds of billions of dollars. No bloodsucking-Tax loving politician will slay that tax cow, they are making too much money off the entire firearms industry and everyone involved in it. On that premise alone we stand a very good chance of keeping the second amendment alive and well. That was the most horrible story of betrayal I have ever read. A very likely future for us, despite all the guns in America. There will be people who will rat you out for a hamburger and fries. Practice your OpSec and don't tell anybody about your personal protective devices. It's nobody's business but yours. Thanks for sharing it....I am calling The Blue Press for a copy of the story for my files. Wow, what a devastating betrayal. Why should I be surprise after years of government school indoctrination? Heck, children would turn in their parents who smoked if they were asked to. Folks, forget the ballot box. Honestly, do you really believe DC can be fixed? I believe that America is most likely headed toward ‘terrorist cleansing’ and divisively pitting us against each other. Look no further than barackobama.com for the definition of ‘terrorist’. Yes, you are in their crosshairs. The ‘Beast’ is not ready to attempt gun confiscation or to legislate the NRA out of existence. Divide and conquer is what Socialist do best. This story and the familial betrayal is just soul sickening and dark and otherworldly. Evil lives and walks on this earth, and it is our Judea-Christian responsibility to not only call it's name out when we see it, but to rebuke it! Let the biblical history of Judas become your worst nightmare. We will be tested of our faith and strength. I first read this story in the original issue of The Blue Press when it came out in the early years of the Clinton administration. Its effect on me was devastating; not only the betrayal but the loss of hope for our future. Remember, these were the days of Janet Reno, Waco, and the Scary-Looking So-Called Assault Weapons Ban. The future looked bleak. I'm glad that a Part 2 got written, and I'm also glad that the author resisted taking the easy way out and making everything all fine and dandy in the end. Because the end of this story, of OUR story, will of course be written in blood as Thomas Jefferson stated. Now hopefully, as Captain Crunch opined, the recent resurgence of respect for our God-given rights as recognized by the 2nd Amendment will allow us more time to prepare. But as I get older, I also recognize more and more that the battle for freedom will eventually be fought not with words (the soap box), legal verdicts (the jury box), or votes (the ballot box). It'll be fought, as it finally must, with weapons of war (the cartridge box). As a father, I must say that I'd rather this fight be fought by me and my generation rather than by my children (see The American Crisis by Thomas Paine for an eloquent defense of this preference). America entered a death spiral since Obama signed the NDAA on January 1, 2012, just 10 weeks after the last post. The only fragment of our Bill of Rights standing between liberty and tyranny is the 2nd Amendment. America is gone and is not coming back. Hope lies in what will fill the voids of her collapse. We (like many families) chose to flee one of the many disarmed Slave States for the God-fearing American Redoubt so that our children may grow up as free men and women, not slaves. We will bow only to God, not to government. The Package or the Gift?